Studio and Garden: "Make it New": What is Originality? "Make it New": What is Originality? Pablo Picasso, Still Life with a Bottle of Rum, 1911; oil on canvas; 24 1/8 x 19 7/8; from the Metropolitan Museum of Art website. 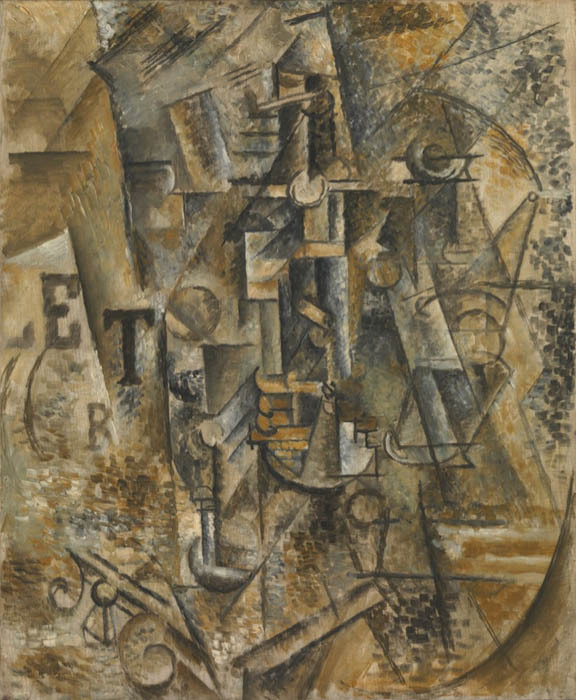 When we invented cubism, we had no intention of inventing cubism, but simply of expressing what was in us. Nobody drew up a program of action, and though our friends the poets followed our efforts attentively, they never dictated to us. The young painters of today often outline a program for themselves to follow and try to do their assignments correctly like well-behaved schoolboys. I believe that time to be alone, time to work, and to think, time to be open to the world, are necessary in order to find our true selves in the cacophony of influences. Finding that self, the one that leads to original and unique thought, is what is so difficult: I remember being told in graduate school that it would take 10 years to find a personal expression, free from our teachers and our peers. It takes more than that; it's an ongoing project if we want to stay alive and alert and fresh in our work. Time, so that the process is natural, and not rushed, so that we don't press ourselves into a preconceived mold of newness. 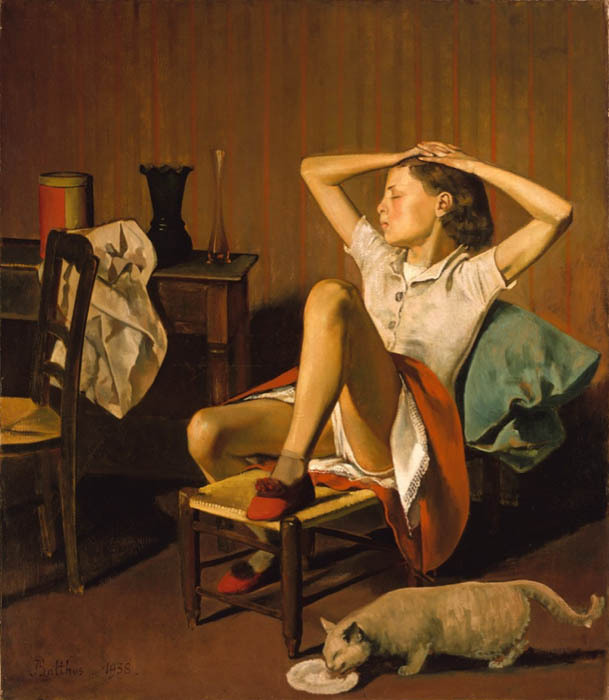 Balthus, Therese Dreaming, 1938; oil on canvas; 59 x 51 inches; from the Metropolitan Museum of Art website. Originality lives at the crossroads, at the point where world and self open to each other in transparence in the night rain. There, the plenitude of being comes and goes. Originality summons originality: a work of art that contains the mind of freedom will call forth freedom in others. But originality also asks presence – the willingness to inhabit ourselves amid the uncertain transports and sufferings that are our fate. To feel, and to question feeling; to know, and to agree to wander utterly lost in the dark, where every journey of the soul starts over. Perfect for me to read this early morning. Thank you! I have often worried about trying to be original. I have worried about trying to find my own way of doing things. Finally, I have stopped worrying and just doing. I am always hopeful the original blanket will cover what I do and it usually does. Nothing dramatic but still I feel more at peace. Originality is just a by-product of not pretending you are someone else. It is not a goal in and of itself. Great post... my work has shifted back to something possibly more traditional after many years of abstraction. All I can do is paint what needs to be painted. There seems to be a trend towards this idea of newness, for sure, and I often see outstanding painting that gets past by for something more gimmicky. beautiful . thank for sharing this. A lovely, thoughtful post, thank-you Altoon. Hope to read Hirshfield's book soon. Thank you for all the nice comments. I agree with sam and with Lisa that we shouldn't be worrying about originality; I hope I made that clear in saying we have to "find our true selves". When we are only driven for the new, substance, meaning, and depth coming from one's own personal exploration and understandings of things can be readily lost. An example of this is the endless, sometimes stunning parade of minimalist mannerist paintings, where variations on technique declare they are "the new". Wonderful post Altoon! Very inspiring and thoughtful. Nine Gates is now on my must read list. "to know, and to agree to wander utterly lost in the dark, where every journey of the soul starts over." We are, after all, built for observation and reflection. A pause in the infinity that passes through us. Nice post, Altoon. It was Sultanish, and clearly appreciated. Thanks for this thoughtfu, grounding reminder. The number of comments speaks to what a deep cord you have touched Altoon. A New Textile: "Empty Center: Turquoise/Red"
A New Painting: How Do We Evaluate Our Work? A New Painting: "Blue Circle"